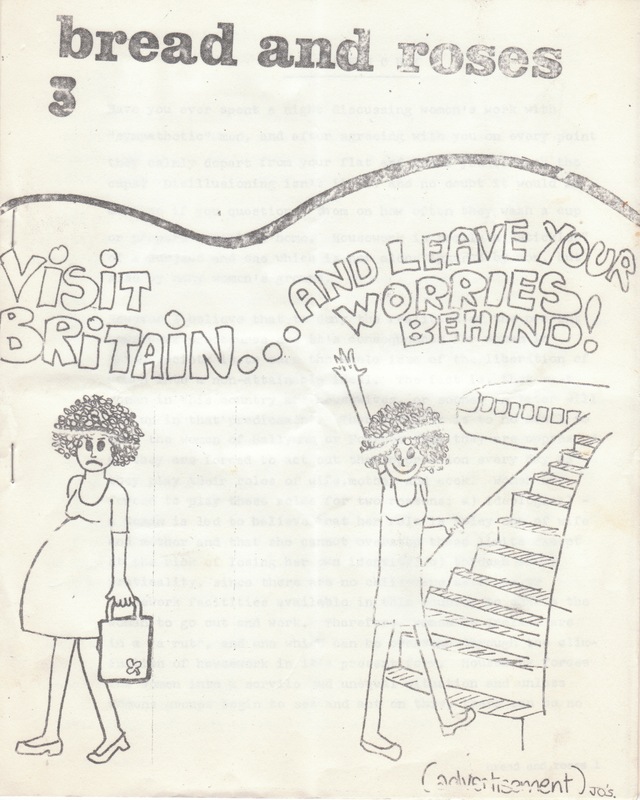 Bread and Roses Issue 3 (UCD Women’s Liberation Magazine, 1975) | Come Here To Me! « Do you have images/recollections from the Wood Quay protests? Bread and Roses was a feminist fanzine published by the UCD ‘Women’s Liberation Group’ in the mid 1970s. It was a crudely designed, black and white stapled zine. This issue is 18 pages and is from early 1975. I featured issue 2 on the UCD Hidden History blog a while back. Front cover. Bread & Roses (Issue 3). 1975.
on March 6, 2013 at 12:20 pm | Reply Feminist Walking Tour 2013 | Come here to me!